Architecture Library - provides information services to the Welsh School of Architecture. Houses the RIBA Trade Literature Collection and Rare Book Collection. Cardiff University Library also works together with the NHS Wales hospital libraries in the AWHILES Partnership. There is a shared library catalogue, and the records of the NHS Wales hospital libraries are included in Copac alongside those of Cardiff University Library. Enquiries about books or resources held by individual NHS Wales hospital libraries should be addressed to the library concerned. 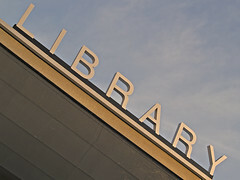 Details of all libraries can be found here. How do I find primary source material held at this institution? Visit the University of Cardiff's contributor page at the Archives Hub for information.